For years I put off painting and remodeling my home because I had such a difficult time choosing colors, trim, window coverings and lighting. I called Tana for help. When Tana and I met she listened, asked questions and quickly put together color suggestions for the interior that I truly love and fit me very well. After having such a positive experience I again asked Tana to help me with exterior paint color combinations. We also talked about ways to help with curb appeal. I love the new look and have received many compliments on the color. I highly recommend Tana. She has great listening skills and is able to quickly see what might work for you. Tana, I feel really lucky to be working with you. You have beautiful taste and I'm really excited about all the cool things we are doing to my home. During the 8 + years I lived in my house with crummy/broken furniture and boxes in the living room, I still loved the space. The things we are doing, thanks to your good taste and guidance, are turning it into a space that I feel proud of. Thank you for all you are doing. Additionally, I really appreciate how organized you are. I've worked with designers in the past with good taste, but the organizational piece was missing, which was stressful. I also love getting the wonderful treasures from your carefully curated shop. You have awakened me to the wonderful experience of bringing previously owned items into my home. We are very happy with the transformation of our condo. It is a real pleasure living here now. And I owe it all to you. You are wonderful. You put together all of our little "things" in such a nice way. Thank you for all your hard work and patience. I first contacted Tana about a very small job for my house: I could not make a decision about the color for my living room walls and I was not happy with my coffee table. Two small issues I had not been able to resolve myself! Tana's response was friendly, prompt, creative and very helpful. I really appreciated that she was interested and engaged for such a relatively small "job". That was nearly 5 years ago. Since that time, I have contacted Tana for increasingly more involved consultations. 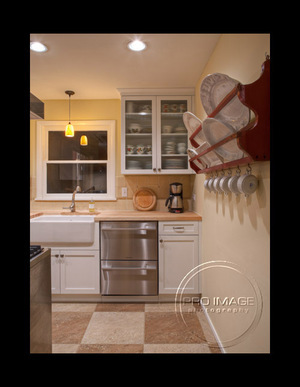 My most recent work with Altstadt Interiors involved a complete remodel of my kitchen, and decorating "facelifts" to several rooms in the house. I couldn't be happier with the results: the work was well done and on-time. Tana's sense of color and her eye for design are fabulous. I would and have recommend her to anyone who asks. Tana has worked with my husband and I on many design and decorating projects. She helped us select interior & exterior paint colors for our house as well as the total redesign of our kitchen and master bath. Tana is an excellent listener and "gets the real sense" of what her clients have in mind when it comes to design. Tana makes design dreams come true. Tana has also worked with us at our church, to create a warm and welcoming space of a large room used for receptions and coffee hours. The comment we hear now is "This is such a warm and inviting room. What a change!" Tana also helped us select the paint colors for the interior & exterior of our church, making it as warm and inviting as it can be. From paint colors, to cabinets, to tile, floorcoverings, window coverings and furniture Tana is the designer you will want to hire for a jobe well done. We have worked with Tana on several projects over the years that have turned out beautifully. She created design plans that turned out to be masterpieces. She is a joy to work with and always comes with new ideas, a true professional. We have used Tana for design work and as a project coordinator. We couldn't be happier with our final projects. We would definitely recommend her for any project you're thinking about. Tana is one of those rare people that have an instinct for color and design. I don't know how she does it, but I swear the room speaks to her. I have referred Tana to many clients after they have bought a home, or are selling. They love her professional service, eye for design, unique idea's and the fact that they have now have an option for selling their current furniture to make room for the new is priceless. She's my design guru that I will refer over and over! 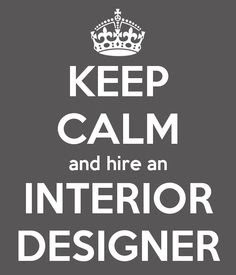 I am writing to recommend the services of Tana Mattson of Altstadt Interiors for your interior design needs. Tana worked with me on a remodeling project this past winter and I was very impressed with her unique, creative eye and her attention to detail. Tana was able to anticipate the needs of each space I worked on and to recommend materials that were appropriate to the way in which it would be used. She had unique suggestions for lighting and space planning that fully made use of each living area. Her eye for color and texture added interest and depth to details that would otherwise been mundane. She was very open to accompanying me on shopping excursions to help decide on lighting and furnishings to complement the look we were trying to accomplish. Most notably, she was very good at listening and asking questions to determine how we live and what our personal style was - and used that information to recommend ideas - rather than only suggesting her own preferences. She is a very likeable and easy person to work with - every exchange was pleasant, professional and fun. I would highly recommend Tana if you want a designer that will help you create a home that you feel comfortable in and that you can be proud of.